With the Google Play store having 3.5 million apps and the Apple store having over 2.2 million (according to Statista), seems like every business has a mobile app. Still some business leaders have a stereotypical thought that Our business doesn’t need a mobile app to sell products to our loyal customers! This could be the case in the past but in order to prepare for the future and get the massive benefits right out the gate, you’ll need a mobile app. Be visible to customers all the time: When a customer has your app in his mobile, he has easy access to your products and you can communicate to your customers about new products, offers and news about your business. Build Brand value: Build customer trust through regular interaction. And the more your customers trust you, the more likely they’ll be to listen to later sales pitches and even commit to your brand. You will demonstrate to your users why they should trust your by showing what your brand stands for. Keep in touch with customers: Since 4.93 billion people have mobile devices within arm’s reach all the times, the real game-changer in customer service is mobile apps. A person can easily download your app even in the middle of the night and can get information about your products, he can do it immediately, without having to wait for regular business hours. Increase profits: Fundamental law of business is that sales increases with enhanced customer satisfaction. According to SalesForce, 70% of buying decisions are influenced by how the customers feel they are being treated. 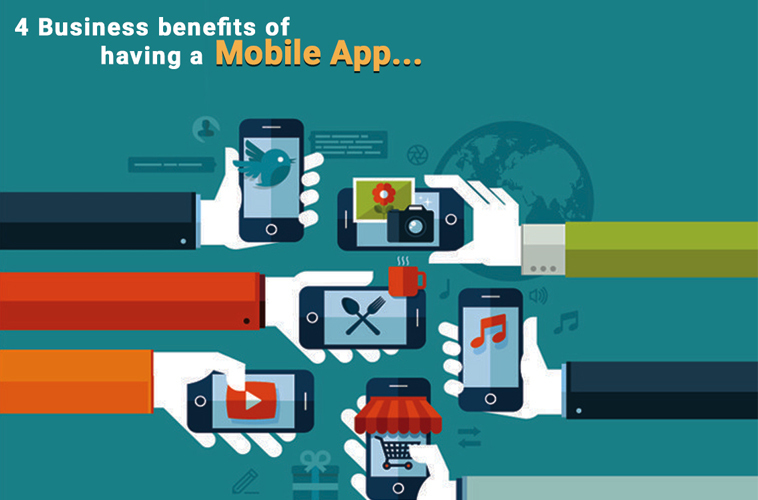 Not all mobile apps will offer the same business value. Often the benefit is difficult to quantify, making prioritization problematic and inconsistent. Building and deploying useful mobile apps is rapidly becoming a top concern for IT, as mobile apps bring competitive advantages to most business through improved information flow, faster decision making and ubiquitous access to key resources.